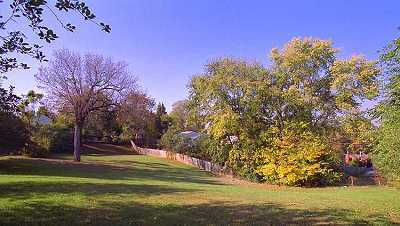 A small neighborhood park of only 0.4 acres, Starr Hill Park is located at the corner of 7th Street N.W. and Elsom Street. Acquired in 1980, it previously featured playground equipment, but currently it is an open field. There is limited public parking nearby. Dogs must be on leash and under control. City code requires dog owners to clean up feces of dogs in their care. Failure to abide by the leash law and dog feces cleanup law is a Class 4 misdemeanor.